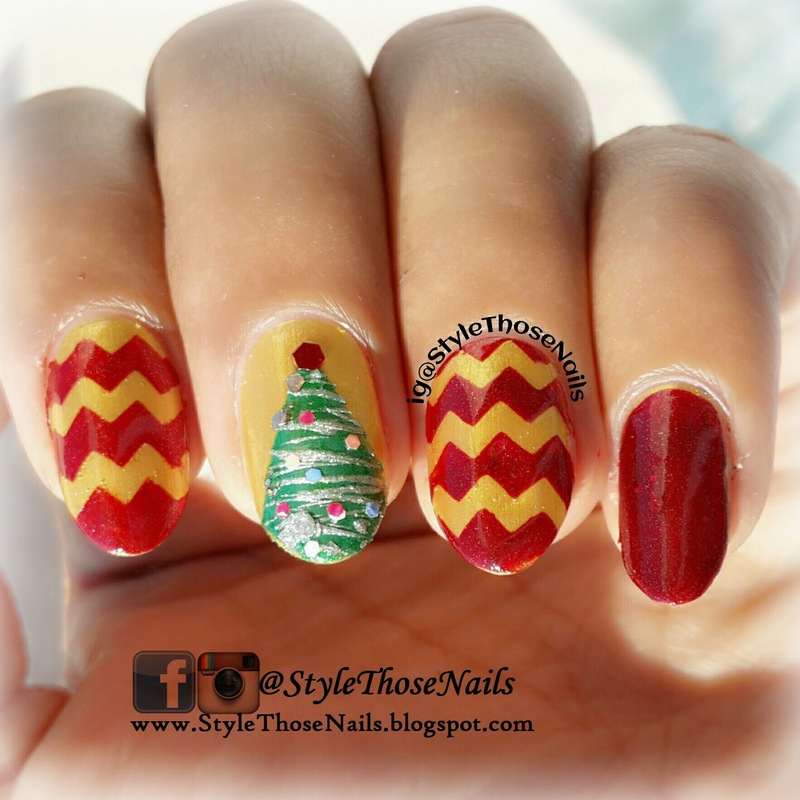 Today's nail art is quite festive.This week's prompt for 52 Weeks Pick and Mix Challenge is Red and Gold combination and/or Chevron. I created a mix and match kind of nailart using Red and Gold . 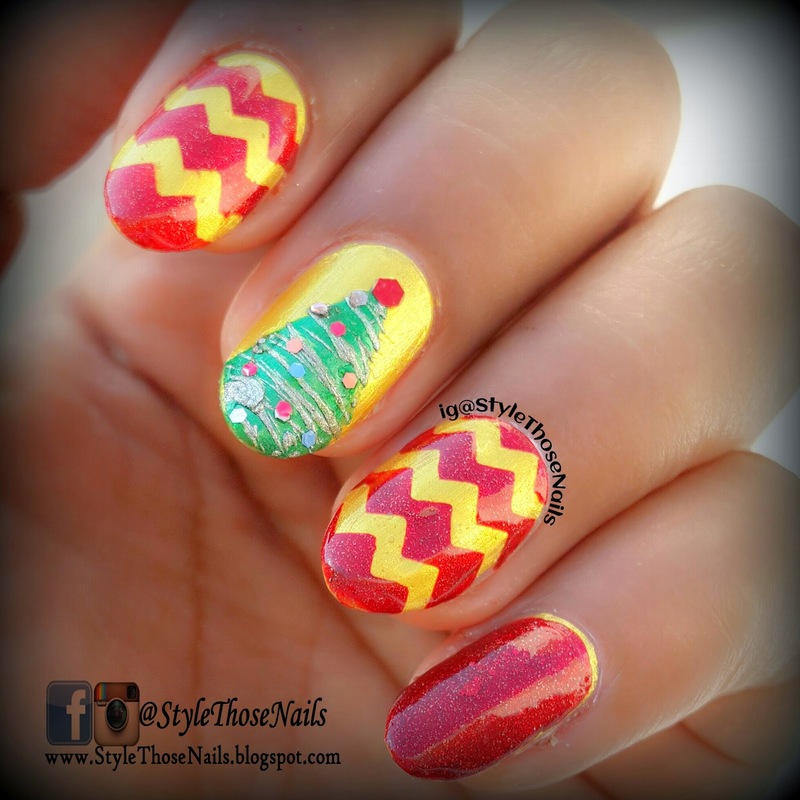 On two nails I did chevrons using nail vinyl and on middle nail I created a christmas tree using sugar spun technique , let's have a look. Let me know your views in comments.